The implementation of the IWRM guided reforms agenda remained mostly on paper. It has not been completed in any of the river basins. The implementation has remained very slow and the agenda has been put into practice on a small scale within different river basins. Additionally, the formation of the organisational structures recommended by the Water Law has not been completed in any of the river basins. The agenda was not initiated in the Helmand Basin, at all. 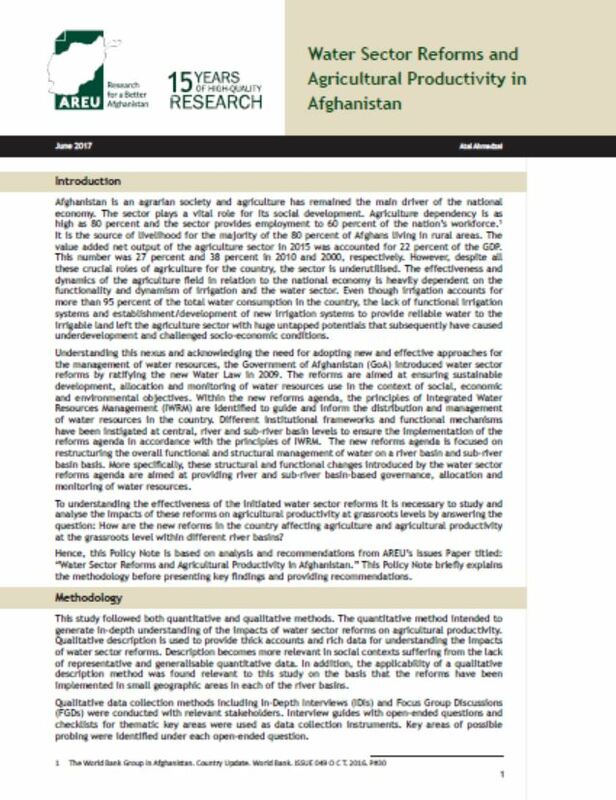 Community-based organisations including Water User Associations (WUAs) and Irrigation Associations (IAs) are formed in limited numbers on Panj Amu, Northern, Kabul and Hari Road River Basins.